Leprosy is one of the world’s oldest diseases. If left untreated, it can disfigure and result in permanent disability. In the 1980s an effective cure became available in the form of multi-drug therapy (MDT). There is no preventative vaccine and much is still unknown about the disease and why some people are naturally immune while others are not. Every two minutes one more person is diagnosed and starts treatment for leprosy. Many of these are already disabled by the time they are diagnosed. What this means is that today, although entirely curable, millions of people around the world are still disabled by the consequences of leprosy. Many are still being subjected to discrimination and social exclusion because they, or members of their families, have had the disease. 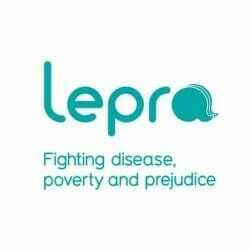 Lepra is an international charity fighting disease, poverty and prejudice. The charity focuses on people affected by some of the world’s oldest and most neglected diseases, including leprosy. They ensure not only that health needs are met but support people to improve their lives and livelihoods. As the world’s first leprosy prevention organisation the charity Lepra has been at the forefront of prevention, treatment and management of leprosy since 1924. On average it costs £25 for Lepra to change the life of someone living with the consequences of cured leprosy. In addition to working with leprosy affected people to fight prejudice and reduce their poverty, Lepra’s past successes mean that governments are now able to deliver simple leprosy services. The charity also publishes academic research on leprosy and promotes sharing of best practice in the field. Reaching more than one million people per year who are affected by disease, poverty and discrimination Lepra’s work is just scratching the surface of need. With greater financial support they can do more.